Russian is the first language of 144 million people, making it one of the most widely used languages in the universe. It is an established language of Russia, Kazakhstan, Kyrgyzstan, and Belarus. It is also broadly spoken in Moldova, Ukraine, Latvia, Estonia, and Lithuania. Though Russian is the 8th most spoken language in the world, it isn’t evenly homogeneous, and it shows some subtle regional variations outside Moscow and Saint Petersburg. But what you have to do when you need to translate French into Russian? Getting the appropriate Russian translation of your French documents right can be difficult. To ensure you get an accurate translation, suitable for your target audience, we use only experienced native translators. Native speaking, in-country Russian translators live and breathe the language they translate into to assure that you receive the highest quality translation possible. Despite the size of your Russian translation project, No Borders Translations is always ready to help you with an expert team that is widely regarded as among the best in the industry. 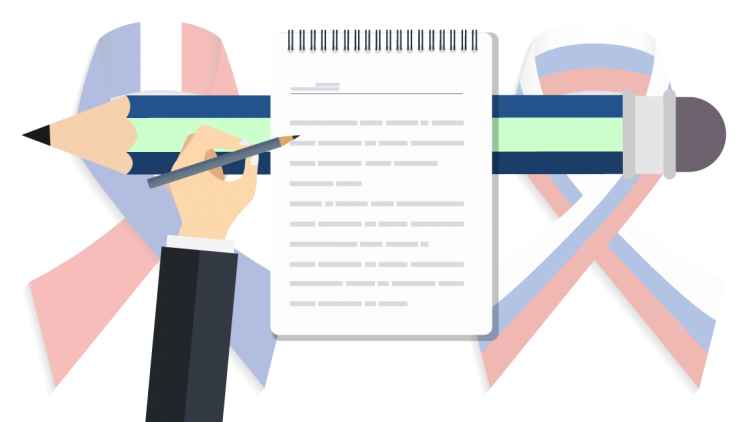 The size and expertise of our French to Russian translation team enables us to provide specialists in an extensive range of fields and issues. 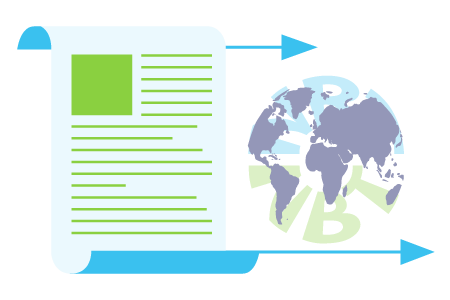 Regardless of whether you are translating your French product brochure, website, employee handbook or migration documents, in the era of globalization you require to partner with a certified translation conductor with the services you require. Our Russian translation team has the technical competencies to assure your product is a success. We can translate using CAD software, Adobe Indesign, Microsoft Publisher, PowerPoint, and Excel and a multitude of other applications. In today’s global economy you should consider targeting the Russian market with your website. Our multi-lingual Russian translators can even provide basic search engine optimization (SEO) to ensure you reach your markets affordably. Translate French into Russian for your personal and business needs! Our multilingual team of professional in-house translators offers high-quality French to Russian translation according to your personal and professional needs and requirements! Qualified translators of Russian language are capable of providing excellent translation services according to your expectations. We comply with ISO standards of quality assurance and management that ensures the delivery of superb translation product. Whether you need translation from French to Russian or any other languages, we can do the translation for you between all European languages! Our expert French translators can assist you with an extensive collection of services including Legal documentation, Project documentation, marketing collaterals, localizing web content, banners, business proposals and many more. Our professionals will also give attention to the content and tune in with your target viewers to bring the best outcomes for you. This is guaranteed by skilled professionals well versed in the languages and with the needed subject matter expertise. With the fast-paced globalization, linguistic barriers have disappeared and reaching out to your target audience has never been easier. No Borders Translations invite you to partner with us to grow your business at a rapid pace.